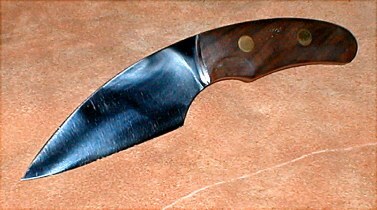 Welcome to page one of my work as a knife maker. and finally got around to learning how. 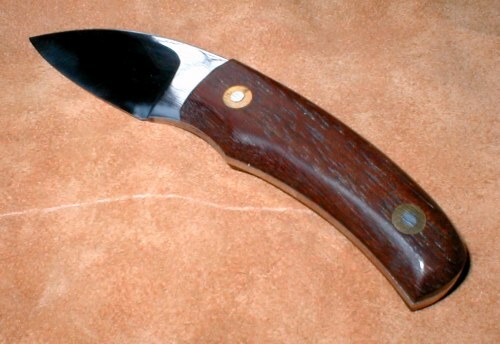 On the next several pages are knives I have made and any of them are avalible for sale unless they have a "sold" under them.If this is the case and you would like a similar knife just let me know and I can make one.I will also trade for a knife so if you have say some antler or some real nice burl wood or something else I may be interested in just drop me a line. 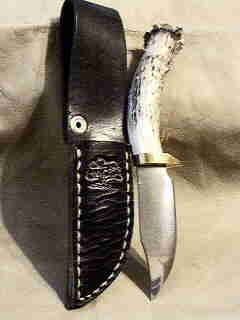 Knives on the first few pages are my early work.My latest knives are on the forsale page and the last couple of the knife pages. Thanks for having a look.